List of Wilson Cleveland's TV show credits. Wilson Cleveland is the co-creator/co-executive producer and co-star of Leap Year, a comedy-drama series about five former co-workers starting a tech company in Silicon Valley, that aired for two seasons on Hulu from 2011 to 2012. Leap Year has won multiple awards and distinctions including several Telly Awards, a Webby Awards for Best Branded Entertainment (Scripted), a Streamy Award for Best Branded Series, Best Branded Entertainment at the Banff World Media Festival and the IAWTV Award for Best Dramatic Series. 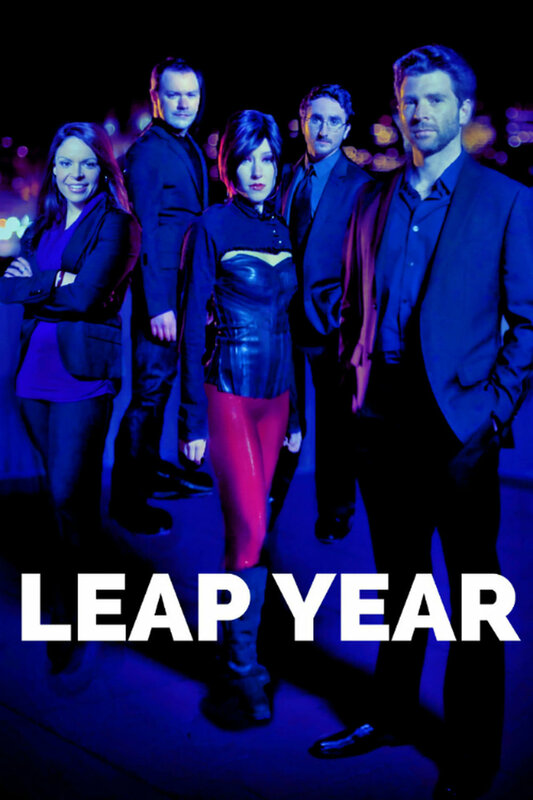 USA Network acquired the Leap Year rights in 2013. On November 28, 2010 it was announced in The Hollywood Reporter that Milo Ventimiglia and Shannen Doherty had joined the cast of Suite 7, a seven-episode anthology that Cleveland created, executive produced and starred in for Lifetime. The series is set inside a single suite of a fictional L.A. hotel. Each episode tells a standalone story from different writers and directors that focus on the relationship between two characters. Cleveland plays Matthew, the hotel manager and main character in the frame story, who interacts with the eclectic guests check in throughout the series. In 2006 while working at a public relations firm in New York, Cleveland was inspired by then one year-old YouTube and the potential of online video to "make little TV shows on the Internet for clients to tell their stories." He created and starred in The Temp Life, a comedy web series sponsored by for Spherion which debuted on YouTube on November 29, 2006, ran for five seasons and is considered to be among the first and longest-running branded web series. The series revolves around Nick “Trouble” Chiapetta (Cleveland), an incompetent temp agency boss and the temps he works with. The Temp Life was among the first web series to become a new media signatory with the Screen Actors Guild and Writers Guild in 2009 and featured guest appearances by Milo Ventimiglia, Craig Bierko and Illeana Douglas. In 2012, The Temp Life won the Webby Award for Comedy: Longform or Series and received a Streamy Award nomination for Best Branded Entertainment Web Series in 2010. In 2010, Cleveland was a co-creator and producer on The Webventures of Justin and Alden, a five-episode web series sponsored by Trident and produced in association with the 2010 Streamy Awards. The fictional series takes place on April 11, 2010 - the day of the real-life 2nd Annual Streamy Awards. Justin Tyler and Alden Ford play struggling actors who write a web series script and road trip across Los Angeles to crash The Streamy Awards and convince Felicia Day to be the star of their show. 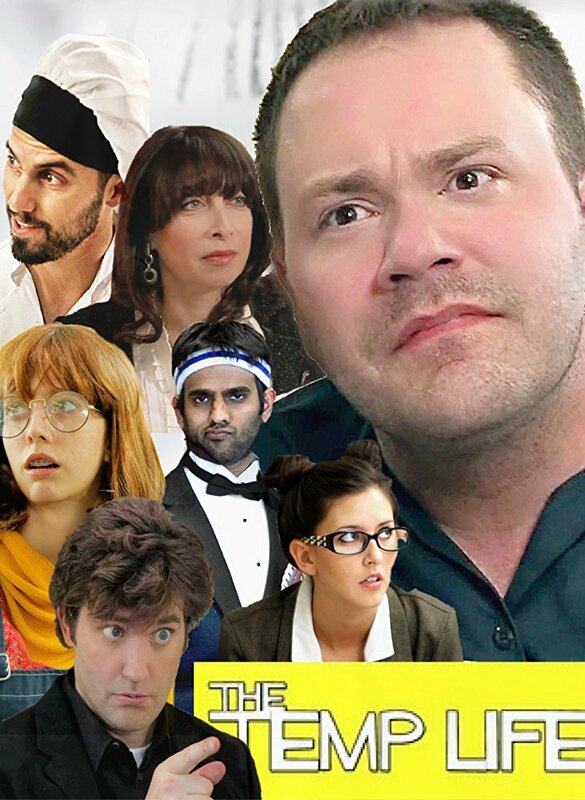 In her April 29, 2010 review, USA Today critic Whitney Matheson called Webventures a "delightful new show" that "includes parodies of several popular web series, including The Guild and Dr. Horrible. Adweek's Todd Wasserman complained, "Webventures contains no LOL moments," but "the moment when Tyler breaks the fourth wall is somewhat risible." The series was nominated for Best Branded Entertainment series at the 2011 Banff World Media Festival.